Travelling in the UK can be an expensive affair. What with steadily rising public transport fares, few people can afford to travel without planning in advance. However, there are great discounts available, if you know where to look and how to go about claiming them. What once may have seemed a gruelling way of getting from A to B where long distance journeys are concerned, for many people, travelling by coach is now the only solution. The UK has some fantastic early bird discounts on a number of intercity coach companies which give away tickets starting from 1 pound if you book a few weeks in advance. There are also options for getting up to a third off ticket prices for students, frequent travellers or OAPs. Some may argue that trains in the UK have become a rich man's game. With soaring prices, going long distance by rail can be considered somewhat luxurious these days. 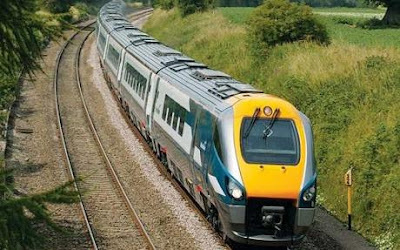 However, the rail network continues to be better connected than the coaches with trains linking not only cities, but small towns and villages too. Despite the extortionate fares, there are still ways to travel cheaply if you spend time searching. 16-25 rail cards will get you a third off on off-peak travel, as will travelling in pairs or groups with dual tickets or family rail cards. If you don't fall into this category then look out for network rail deals in your area. Asking at the station for deals is always a good idea as they may not always be obviously advertised. If you have the time, always book your ticket online in advance for longer journeys. You will pay far less than buying tickets on the day, but be sure to read the small print before getting on the train! When it comes to accommodation in the UK, you might be shocked to find prices higher than any other country you've visited. If you want to avoid paying full rates for a room be it a hostel, hotel or guesthouse, then spend some time searching online before you arrive. Like with transport, you will find deals that could get you huge discounts simply by putting it through a search engine first. Even if you don't have time to check that far in advance, there are some great last minute offers around which you just wouldn't find elsewhere. So if you're planning to visit the UK sometime soon and are on a low budget, don't worry! As long as you have the Internet at hand and have time to think in advance, you can avoid paying full price almost everywhere during your stay.